All of the photos in this series were taken during Tall Ships Halifax 2009. It was the start of Atlantic Challenge Race last leg from Halifax, Nova Scotia, Canada to Belfast, Ireland. 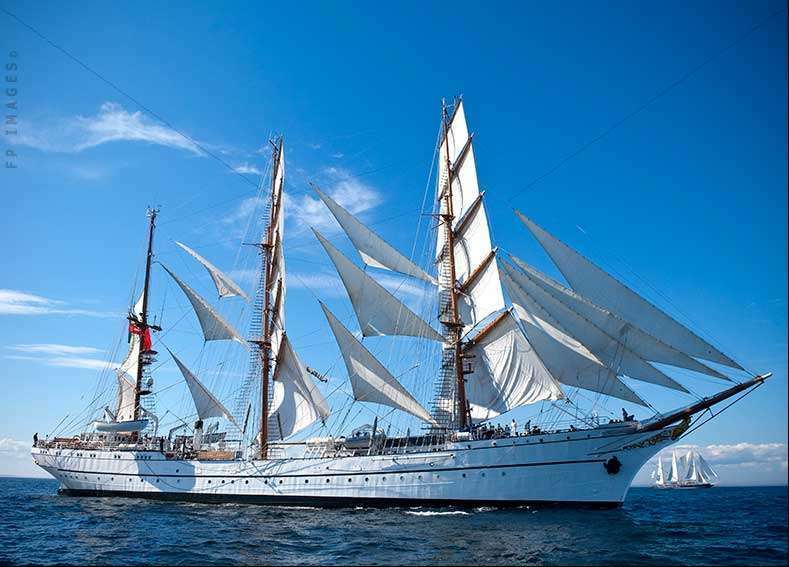 This was also one of the best tall ships gatherings in years. 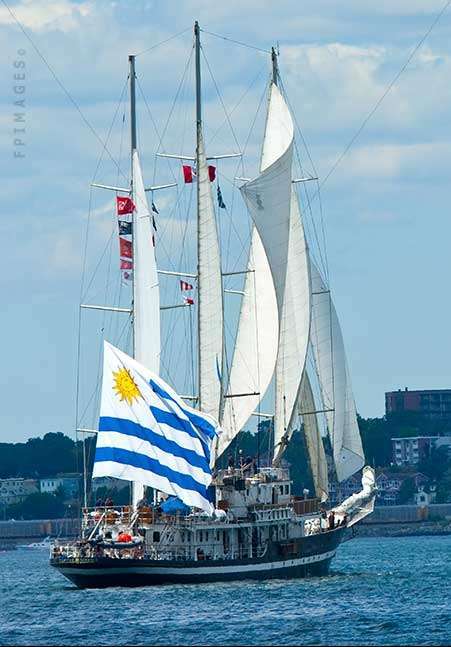 This race was a joint venture between Sail Training International and Tall Ships America, official site Tall Ships Atlantic Challenge 2009. 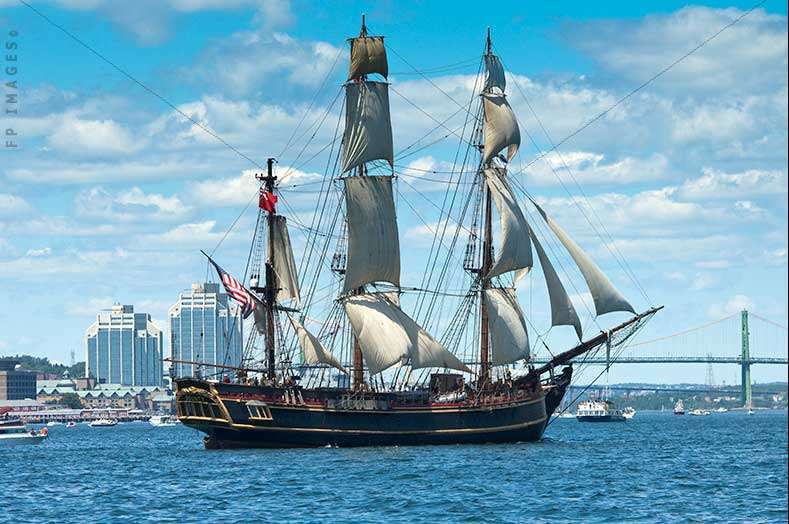 Since Halifax was the last port in North America before crossing over to Europe it attracted more sailing ships than other ports in the race. 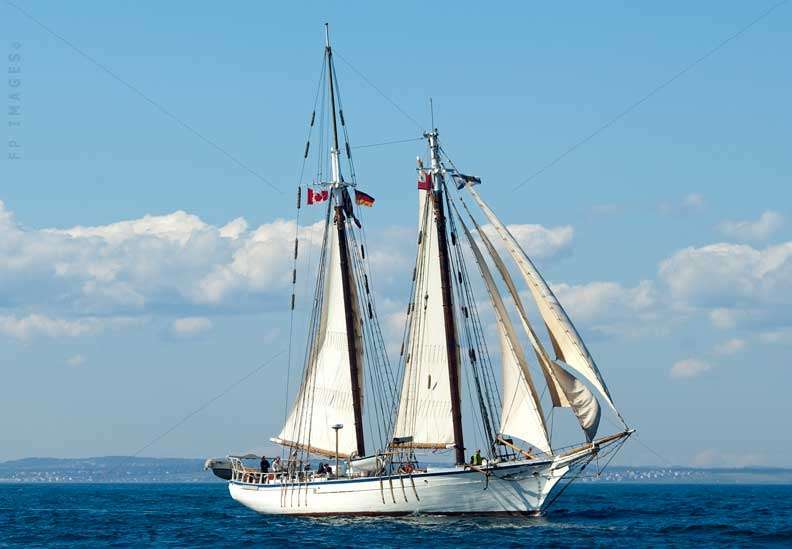 Local hospitality was an important factor too, many sailing vessels remembered their good experience in Halifax, Nova Scotia and easily agreed to come this time as well. 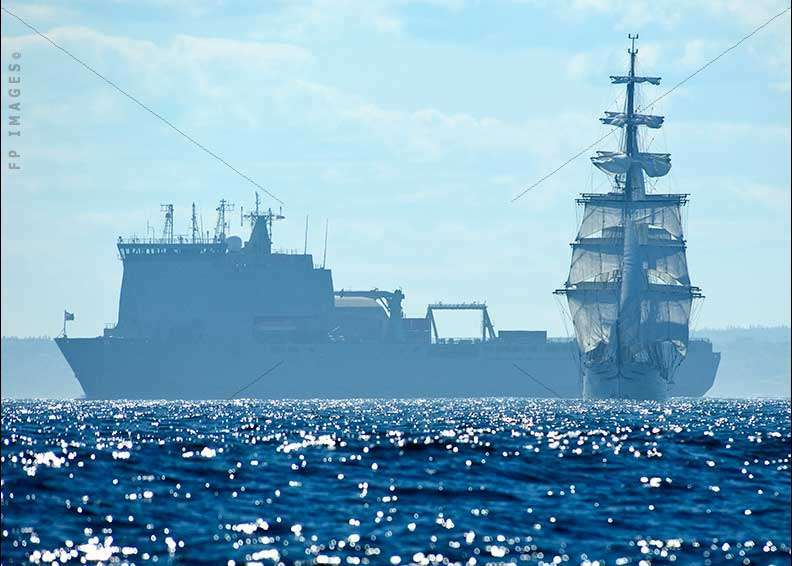 It is very important for tall ships to have a good support. At the end of the race some repairs are usually due, ships need to replenish their supplies and give their crew needed break before crossing the Atlantic. This was of course a great opportunity for taking nautical photos. 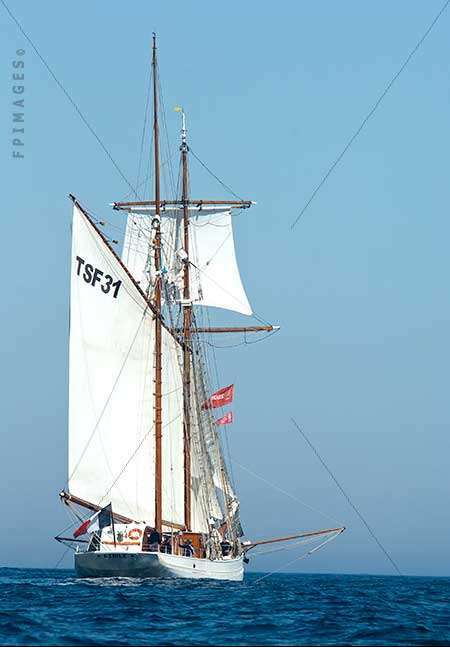 Nautical photos are always unique and spectacular and make excellent desktop backgrounds.These type of travel images can be used as artworks for home or office decorations and using new printing technology made into window curtains or wallpaper. The weather was great during the event and huge number of visitors roamed the waterfront. 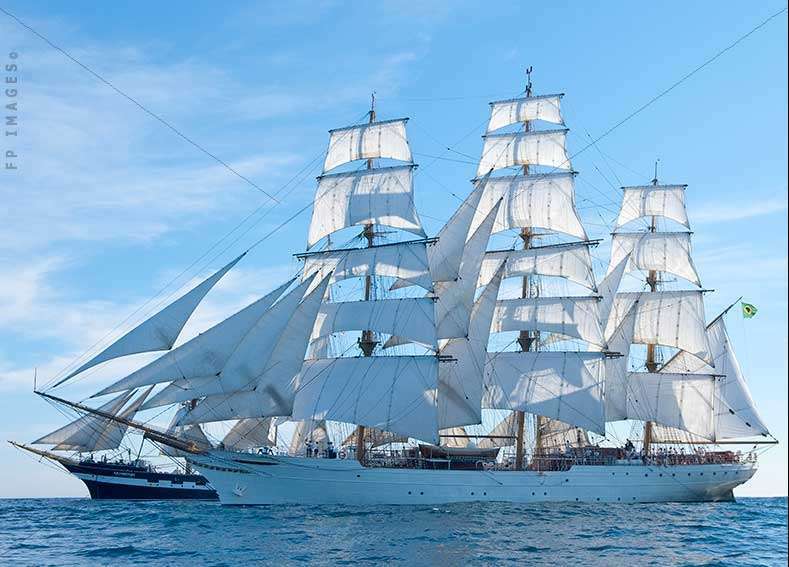 People were able to go on board, see, touch, smell and feel the magic of a tall ship. 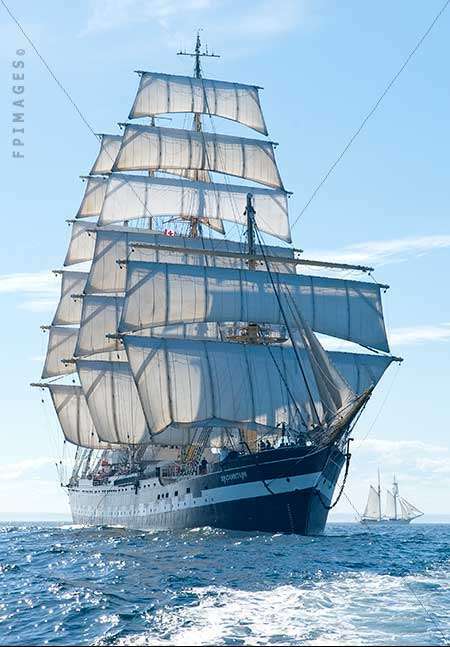 Grande finale was the Parade of Sail. 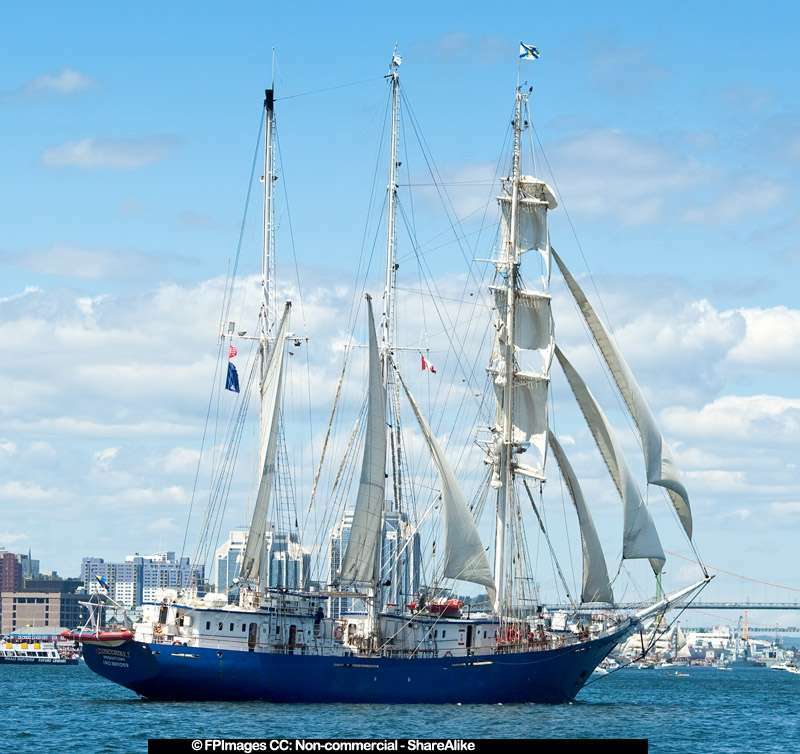 The layout of Halifax harbour and waterfront is perfect for viewing Parade of Sail and taking sailing photos. There was plenty of space to accommodate every spectator and was easy for ships to maneuver close to the stands.